Q: The challenge is to make a 9-letter word meaning left using only a B and one D. Can you do it? This can literally be solved in under one second. Edit: Just follow the directions, literally. As Blaine's hint implies, this puzzle is not difficult to solve, but I also think it is clever. No hint here (I hope). Reading this puzzle literally, there could be 2 answers. Dumbbells? No, this is NPR. Why isn’t it the first of those, Ron? Have you boycotted my answer? The challenge is to make a 9-letter word meaning "left" using ONLY a B and one D.
Jan, Posting this puzzle is a puzzle. Ho hum. I solved this in elementary school. I think Blaine’s wording is different than the NPR site. Today I celebrate six years at Blaine’s. What a fun place to hang out on early Sunday mornings! Thanks for being here. Word Woman, I totally concur. For 30 years my husband and I have struggled with the Sunday Puzzle. Then we found Blaine's Blog. We still struggle but we have a good time here. Well, is this a timing round? I was confident that starboard was right. Clearly, I was on the high seas...therefore, I missed the forest and the trees! D'oh! Starboard is right. Port is left. "Larboard" was one I thought of, but not the right number of letters. I wonder if the original submission was written as only a B & 1 D.
Right. Reading the puzzle might be easier than hearing it on the air. Some of my favorite cryptic crossword clues are those that leave the chicanery in the answer. E.g., "Team (10)" -> "GROUNDMEAT". I don’t know why Will Shortz doesn’t team up with someone like Joe Young. WS can keep the on air gig for the ego ride but let someone else come up with good puzzles for the week. There’s no shame in admitting you’ve run your course. Phoning it in with crap like we’ve seen recently is sad. I appreciate your positive mention of me, Buck Bard. I respect your opinion about recent NPR puzzles. I know you are not the only poster on Blainesville who holds this opinion. But I reject the notion that Will Shortz is phoning it in. He already does, in a sense, "team up" with me and similar amateur puzzle-makers who submit our best "radio-friendly" efforts to him. After nearly five years of running Puzzleria!, I realize that short puzzles with sweet wordplay are tough to compose. But Will Shortz provides us with such puzzles more often than not, Sunday after Sunday. I am sure he sifts through large chunks of chaff (much of it mine!) to get to the wheat. Some of our discontent with NPR puzzles boils down to our personal preferences. I like this week's puzzle, for instance, but some others on this sight seem underwhelmed. I loved the "upside-down digital-clock/SHE/HIS/SIS" and "Two W's/The Wolf of Wall Street" puzzles; other Blainesvillians panned them. You can't please all of the puzzlers all of the time. WS has been providing NPR listeners with a weekly puzzle for 32 years... 1,664 puzzles! No one would argue that is not a high quantity. I would argue the quality is also pretty consistently high. Sorry, Liz. There is no Port left. sdb: One of your best comments. "There is some Port left" is my mnemonic for remembering left from right. If Port is left, I'll be right over. No unused clues for this week's On Air Challenge. I got the answer almost instantly. Check your Droid for clues. An iPhone could be helpful too. My husband solved it very quickly. I was still looking at the clues and yes I had disembark as an alternative but the meaning was not indicated in the original question. I know this will sound stupid, but does this literally mean no other letters at all, even vowels? Have some more coffee, Clark. I thought the same thing. That's how it is worded. Ur on the ritrak, clrk. I would hate to have had this on-air challenge. I was well into my adulthood before I even heard of the Periodic Table, and even then I didn't know what it was. At least I knew it wasn't to be found in a gynecologist's office. I also know, or remember, very few of the U.S. state capitals. I neither have, nor see, any reason to know most of them. So for you the on-air challenge would be capital punishment? Yes, but I would have tried to hang in there. I listened to it while still in bed, as usual, and did answer the last one, Honolulu, right away, and well before the on-air guest. This happens frequently with me, and I know not why. I will still be half asleep and maybe not even fully understand the question and not do well getting the answers, but will get the one the guest has trouble with right away. Some of them can be really hard if you don't write them down too. 1. Looks like a Python that has swallowed a Pyle? 2. Has something in common with Mayberry? 3. Has that same thing in common with Mayberry? 4. Is really finished when you "behead" it? 5. Consists of something passed in a race and something brushed on a face? 6. Ends with the first two letters of its state? 7. Has a bit of Hawaii at its heart? sdb: And one of your worst. Thank you, thank you, thank you. You have no idea how much your opinion of me matters and influences my very existence. I awake each and every morning with my first thought being: will this be the day I post something on Blaine's that will impress my hero, Mendo Jim. While you two fight on the playground I want to go back to the more important topic of capital punishment. The Constitution says "whoever ... is guilty of treason and shall suffer death." So when Trump is found guilty and wants to choose the method of enforcement, would that be Executive Privilege? I see you are still hanging in there. 10. Ends with its state's postal abbreviation? 11. Sounds like a minor medical procedure? 12. Might have been named after Franco? 13. Might have been named after a great American humor poet? Great fleshing out of my list, eco. Not "meager" at all. Thanks. I've solved all except #12, where I have but a hunch. I have most of them, but I was wondering about the "Maybery capitals." There are 4 capitals that have CITY in their names; is that what the "Mayberry capitals" have in common? 11. I hear it's a minor medical procedure? Lansing cryptic solvers know there's a homophone whenever you see "I hear" or "sounds like" or "on the radio"
12. Named after Franco? (Harris)burg Unlike Francisco Franco, Franco Harris is a legend in western Pennsylvania. 13. Named after a great American humor poet? (Nash)ville as in Ogden Nash. Good work, ron and eco. "Named after Franco? = (Harris)burg Unlike (Francisco Franco, Franco Harris is a legend in western Pennsylvania.)" As a lifelong Packers fan, the NFL is usually right in my wheelhouse. Good one! Paul's clue, "The Beatles," for this week's "A B and one D" puzzle was characteristically cryptic. My only thought was that it might have alluded to Paul McCartney and Wing's "Band on the Run" album/single... (a) BAND ON the run). Thanks to all who solved/tried solving them. Ahh, Mayberry contains a month! I kick myself for not seeing that. I'd agree. I've had my share removed by the admin. I have left off issuing a hint to this challenge; I have abstained from issuing a hint to it; I have abrogated it. Re-reading the clue certainly helps. I submitted my answer to this week’s challenge- “can you do it?” - as “yes”. That was one of the answers I had in mind! Leaving Maui was a serious error. As was looking at today’s non-puzzle. When I posted this morning, the NPR site didn't have the wording, so I went off my memory of what I heard. I usually copy the puzzle verbatim, but wasn't sure what to do. It is the same now. Sorry for any confusion it may have caused. I went and re-listened to WS present the puzzle verbally and think it may be worth while pointing out that he did not present it the same way each of the two times. I got it pretty fast, then I left, and went back to bed. Cryptic clue: A group of musicians, having finished, left. I second your "exclamot!on," Jaxon. For those who may not know, cranberry is not only a skilled cryptic crossword puzzle solver but also a master cryptic crossword puzzle constructor. CB's cryptic clue is fine, but I prefer Paul's. As noted in the Sondheim article The Nation has had an enjoyable weekly cryptic (#3487) for decades. Harper's Magazine also has one each month, much harder and more creative - this month's "Crazy Quilts" took almost 2 hours. The Brits have mastered cryptics, virtually impossible to solve. Doesn't solving two hour puzzles interfere with ecoarchitecture? Salt mine is only open between 7 am and 10 pm. I almost forgot the (9) at the end. When you say you "prefer Paul's" I assume you are alluding to his Sunday post, "The Beatles," which I think I understood. (I would be more sure if Paul had written "The Beatle.") Paul often spins subtle clues that I am simply unable to unravel. I am especially familiar with cranberry and Paul because both are regular (and valued) contributors over on Puzzleria! Paul is a gem. All his posts are some combination of sly, dry, wise, clever, giving, deep, nuanced, insightful, brilliant, subtle, educational, charitable, intriguing, inscrutable (to me, anyway), elegant, fun, unexpected, thoughtful, humble, encouraging, selfless, empathetic and patient. I always enjoy reading Paul's posts. The Beatles, plural, works in my interpretation, but we'll see on the morrow. Blaine, it was an easy mistake given that the wording didn't post till much later. I so appreciate the effort you put into this blog. Thanks so much. I went to my first KC Chief's game in over 30 years, last night, as they were playing the Indianapolis Colts in a Divisional playoff game. It was fun to watch but way too cold for me! Actually, it wasn't the cold but the snow (8-12"'s) from that morning. I hadn't gone in a long time mostly because it's been too expensive. But, with Patrick Mahomes as the new QB, the game is more exciting to watch! The fun is back! I was pleasantly surprised as we left the stadium to see a family, obviously Colt's fans from Indy, high fiving us Chief's fans! I stopped to talk with them for a couple of minutes and they were really upbeat, even though the Colts lost. I was really impressed to see what good sports they were. The message they wanted for Chief's fans was to beat Tom Brady & the Patriots! One trick to solving this is the "one D" at the end, which Blaine had up as "1 D." If you think of this as "one dimension," then the answer can be seen as linear. What a surprise. I never though you would BenD. This comment has been removed by the author prior to it's posting. The above comment will be ignored by me and not responded to. Buck Rodgers' robot used to say, "BDBDBDBDB." But, that's too many Ds. Snowbirds subleased. Left, in two words. Somehow this puzzle reminds me of a Welsh word where w is the only vowel: cwm. SDB - your periodic table remark reminds me of Jennifer, a bright but boastful young woman I knew who would make a point of telling people, "I'm a Mensan" which I always thought was TMI. TomR - I love it! The Brits would say it's bloody marvelous. I was looking at "bugged out" - but that's two words. But some, "Gentlemen Prefer Blondes." There's no hope for this puzzle. Here's what I think is an acceptable clue: Anybody remember way back when Jimmy Carter was president? Way back when, then President Jimmy Carter visited Poland and gave a speech to the Polish people. Part of what he said was "When I left the United States today,...". But that got translated (and is here now literally translated back) as "When I abandoned the United States today...". I was not enough of a historian to understand your hint, Enya_and_WeirdAl_fan, but now that you explain it I can see that it is an excellent hint. It demonstrates well the nuances of our English tongue's synonyms. I am glad I live in the west. “I am glad I live in the west.” as in ONE Direction. It’s a new low in Sunday puzzling history. . .
From my point of view you live in the east. He led a “LEFT,” UNBIGOTED, LIBERATED, lifestyle. It was a “LEFT” alone, isolated, BACKWOODS lifestyle. The BULLDOZED field was “left,” abandoned. 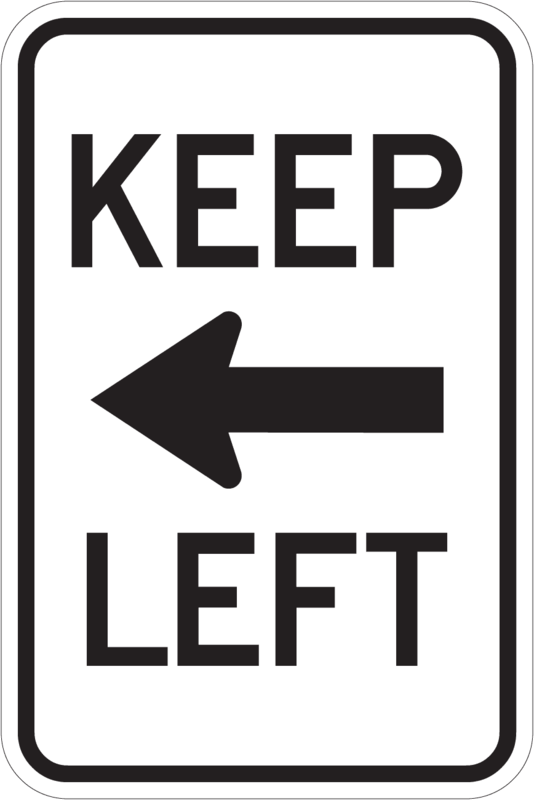 He held a “left-leaning,” BACKWARDS position. He “left” them; he BOYCOTTED them. LEFT OFF = ABSTAINED, ABROGATED (shunned, eschewed). I wonder how many people will have sent in "abandoned" as the answer to the question (sure, it has one D, and then it has another, too) without seeing "abandoned" within the question itself? I wrote: "Well, is this a timing round?" which could be written Well is this a Tim in ground? Timmy never fell in the abandoned well on Lassie. Ironically and sadly, I wrote this before the tragic story from Spain this week. Puzzles like this are agony for some. If you're going to have an earworm, this artist and song, are a good place to start (not a clue). Over 1000 responses last week. The title can also be anagrammed to name two foods.